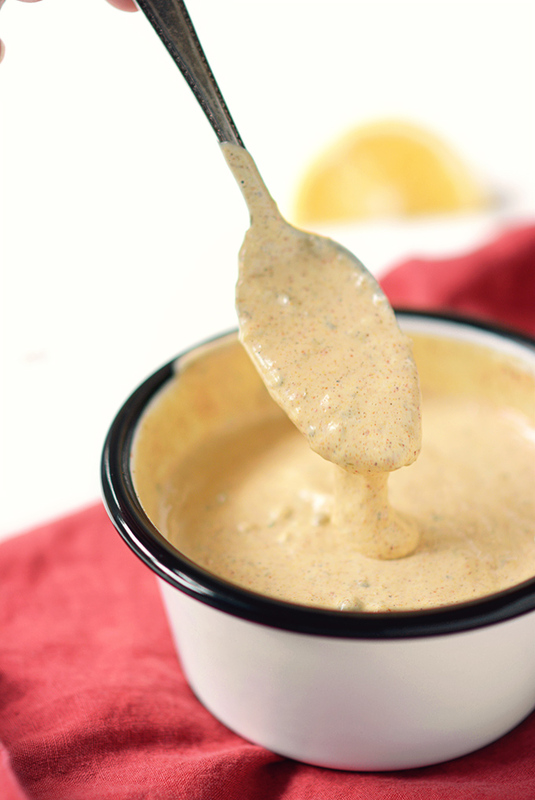 Homemade Cajun Remoulade Sauce – Turn up the heat at your next party with this creamy, zesty, kicked-up Cajun-style sauce! 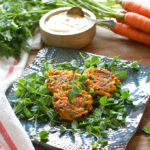 Today’s recipe for Homemade Cajun Remoulade Sauce is a sister post to my last recipe for Fried Green Tomatoes, which by the way, is an AMAZING combination. 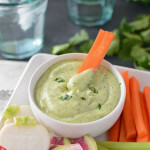 I’ve decided to give this sauce it’s own blog post because remoulade sauce is just as amazing on many other things! So, what exactly is remoulade sauce? 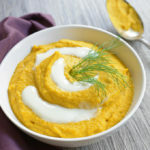 Today’s recipe is definitely an American version of the sauce (from Louisiana), but it’s thought to have French origins. This makes total sense because of the French Creole influence in Louisiana cooking. 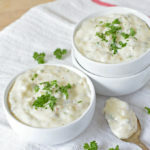 The French version is a mayonnaise-based sauce with additions such as capers, gherkins, mustard, herbs, and sometimes horseradish. 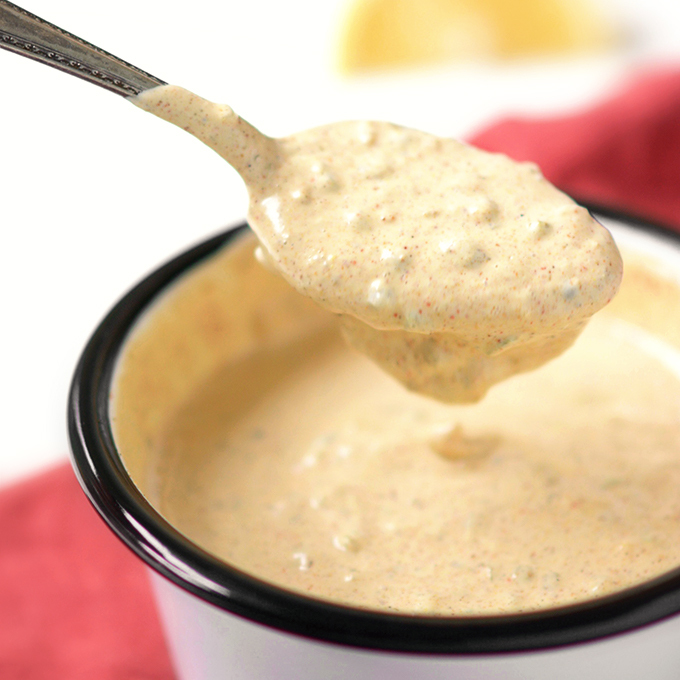 Now, what to serve your Homemade Cajun Remoulade Sauce with? As I mentioned before, it’s amazing with Fried Green Tomatoes. Other vegetables it compliments include asparagus, artichoke, and crudités. It’s tasty with hardboiled eggs atop iceberg lettuce, and perhaps its most popular application is with cocktail shrimp and other shellfish. 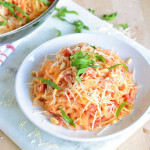 Turn up the heat at your next party with this tasty, Americanized sauce, and it’s sure to be a hit! In a small mixing bowl mix together all of the ingredients until evenly combined. 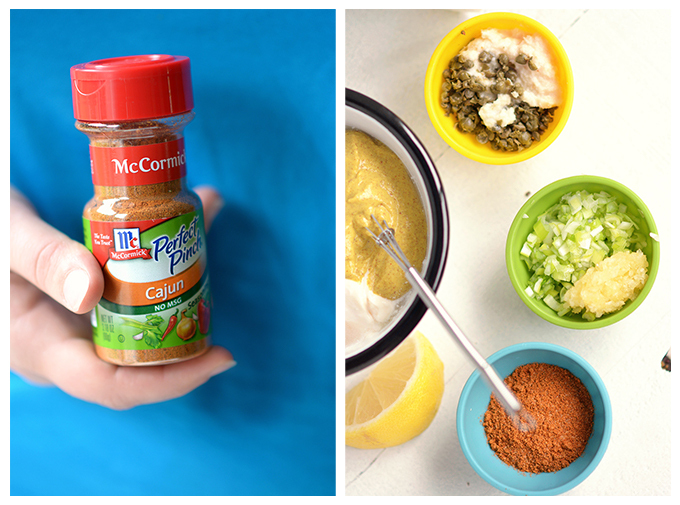 If you like your remoulade sauce extra spicy you can add cayenne pepper to taste. *To make dairy-free and/or vegan, substitute regular mayo with a dairy-free and/or egg-free alternative. 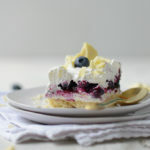 Rachel, thank you so much for sharing this great recipe. 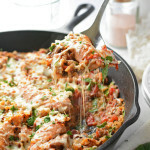 I’ve been looking for a way to make this ever since I got back from NOLA a few weeks ago! I’m happy to help! I’m so jealous about your trip to New Orleans. I hope you had a good time! Everything Louisiana isn’t Caun. 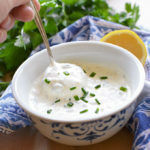 Remoulade is a case in point..a sauce that is a part of a distinctive New Orleans Creole cuisine that is different from Cajun and Louisiana cooking. You’re right sandra! …but this is a fusion recipe. 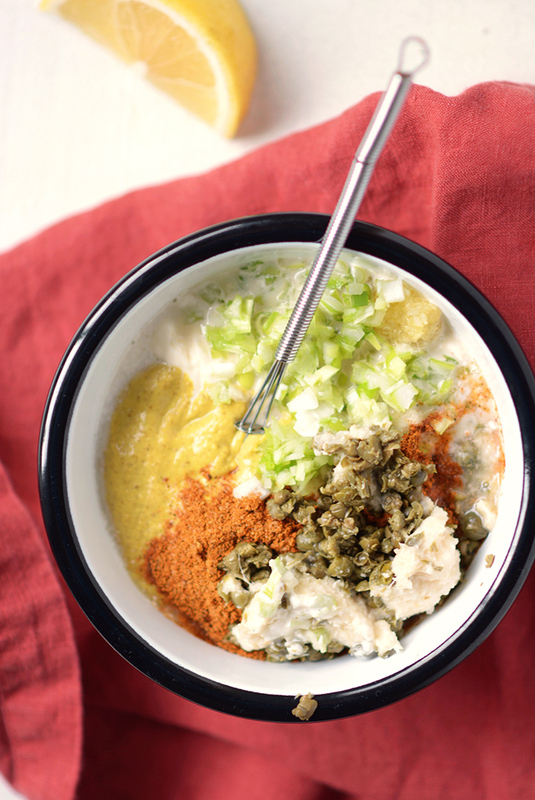 Think of it as a kicked-up remoulade! I figure as long as it tastes awesome then it’s allowed!